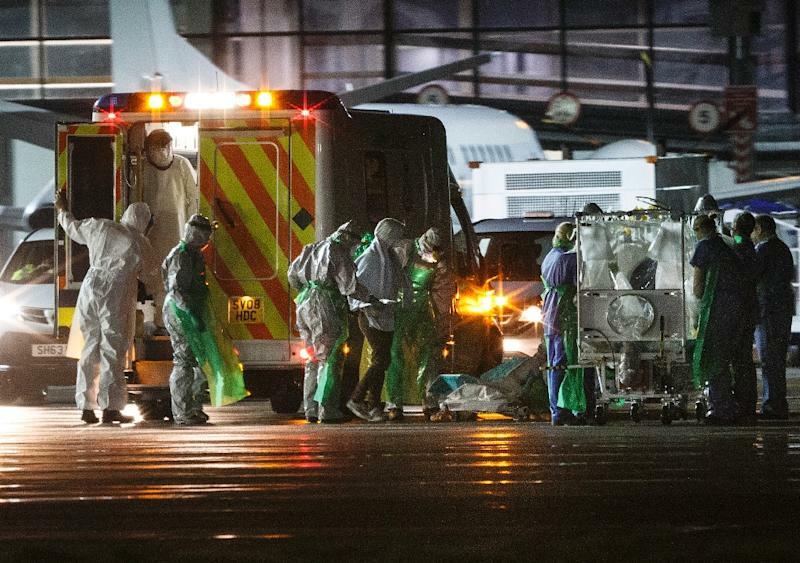 London (AFP) - A British nurse who was successfully treated in January after contracting Ebola in Sierra Leone is now "critically ill" due to a resurgence of the virus, the hospital treating her said Wednesday. It is thought that Pauline Cafferkey, 39, could be only the second recorded case of "reactivated" Ebola after American doctor Ian Crozier. Just two weeks ago, Cafferkey was at Downing Street meeting Prime Minister David Cameron's wife Samantha and receiving a bravery award. She reportedly visited a primary school the day before being readmitted to hospital on October 6. "We are sad to announce that Pauline Cafferkey's condition has deteriorated and she is now critically ill. Pauline is being treated for Ebola in the high-level isolation unit at the Royal Free," the London hospital said in a statement. Cafferkey was first diagnosed with Ebola in December after returning to the Scottish city of Glasgow from Sierra Leone. She then spent almost a month in the isolation unit at the Royal Free Hospital and was treated with an experimental anti-viral drug and blood from Ebola survivors before being discharged. But last week, she fell ill again and was treated in Glasgow before being flown by military aircraft back to the Royal Free Hospital in London. Her sister Toni has said doctors in Glasgow diagnosed her with a virus on Monday but sent her home. She has called the treatment her sister received "absolutely diabolical" but local health chiefs insist the decisions taken were "entirely appropriate". Health officials are monitoring 58 people who have been in close contact with Cafferkey. Forty have had direct contact with her bodily fluids -- the main mode of Ebola transmission. Of the 40, 25 are receiving a vaccine and a further 15 have either declined it or were unable to receive it due to existing medical conditions. Ben Neuman, a lecturer in virology at the University of Reading, said Cafferkey could be only the second known case of "reactivated" Ebola. "Over the past few years, there has been mounting evidence of the mental and physical problems in Ebola survivors that can last for years after the virus is cleared from the bloodstream," he told the Science Media Centre in London. "The newly-discovered twist on this post-Ebola syndrome is that, in some cases, the health problems -- often including damage to the eyes and joints -- is actually caused by live Ebola virus growing in bodily fluids in some of the less-accessible compartments of the body." Daniel Bausch, a World Health Organization (WHO) virologist, told AFP Ebola can "hang around" in some parts of the body because "it takes longer for your immune system to get into those places and clean the virus out". He added: "The ones that we know about are in the testicles in men, the central nervous system -- so that is around the brain and the spinal cord -- and potentially the joint spaces, and in the chambers around your eye." Bausch also questioned whether Crozier had had "reactivated" Ebola because the virus had been found only in his eye, not elsewhere in his body. 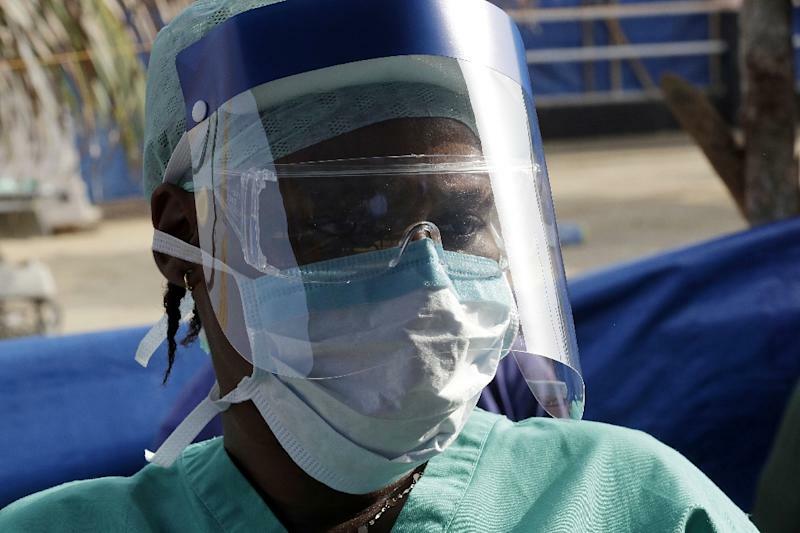 The deadliest-ever Ebola outbreak since the virus was identified in central Africa in 1976 has killed over 11,000 people and infected over 28,000, according to the latest WHO figures. Nearly all the victims have been in Guinea, Liberia and Sierra Leone, although this is the second consecutive week with no confirmed cases.